Dress up in style with the 9pc Disney Minnie Hair Accessory Set! 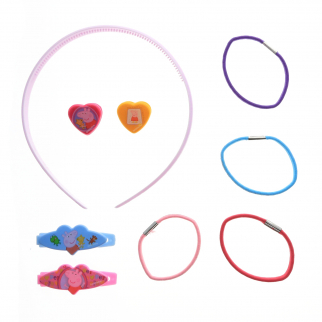 This set comes with a head band, hair clips, barrettes and hair ponies to keep hair stylish and neat. This accessory set comes with everything a young girl needs to add some flare to her outfit - a headband, hair clips, barrettes and hair ponies, all featuring Minnie Mouse. The clips and headband are constructed of durable plastic, and the hair ponies are elastic. Young girls will love dressing up with their favorite mouse, Minnie! 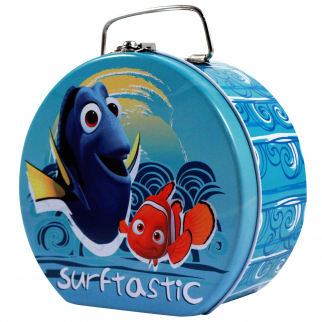 This is a great stocking stuffer or party favor idea. 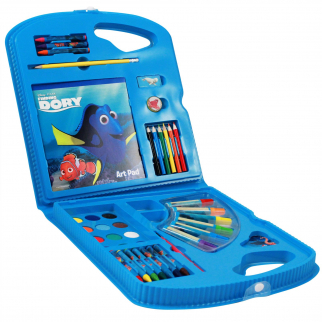 Disney Pixar Finding Dory Deluxe Kids Art Case 28pc Kit $ 16.79	• 44% off!